How beneficial is it to have our college attending son file his taxes on his own versus us claiming him as a dependent? Does it make a huge difference in the amount of aid and/or scholarships he would receive? — Lois H. Whether or not a student is claimed as an exemption on his parents' federal income tax returns has no impact on the student's eligibility for financial aid and scholarships. The student will not get more financial aid. 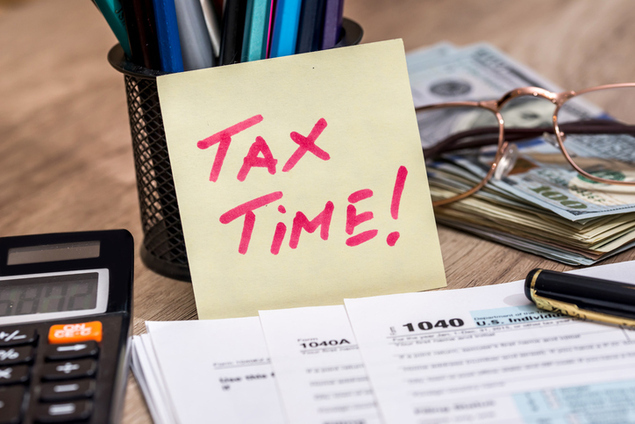 Although the word "dependent" is used on both the federal income tax returns and the Free Application for Federal Student Aid (FAFSA), one has nothing to do with the other. The word "dependent" for federal student aid purposes is defined by the Higher Education Act of 1965, while the definition used for federal income tax purposes is based on the Internal Revenue Code of 1986. The statutory definition of an independent student for federal student aid purposes appears in section 480(d) of the Higher Education Act of 1965 [20 USC 1087vv(d)]. Any student who does not satisfy the criteria for independent student status is considered to be a dependent student, even if the student is financially self-sufficient, does not live with his parents and claims himself as an exemption on his own federal income tax return. The FAFSA currently includes thirteen questions that are used to determine whether the student satisfies the statutory requirements to be considered an independent student. These criteria include whether the student is over age 24, is married, has dependents other than a spouse, is in graduate school or is a veteran. (A complete list of the criteria for independent student status appears at the end of this column.) All other students are considered to be dependent. None of these criteria are based on whether the student was claimed as an exemption on their parents' federal income tax returns. Independent student status has not been based on whether the student is claimed as an exemption for two decades. The old "bright line test", which was prone to abuse, was repealed by the Higher Education Amendments of 1992 (P.L. 102-325) effective starting with the 1993-94 award year on July 1, 1993. The current set of rules concerning independent student status were designed to prevent the student's parents from manipulating the student's status to qualify for more financial aid. The federal government considers the student and the student's parents as having the primary responsibility to pay for the student's college education. The federal government provides financial aid only to the extent that the family is unable to pay for college. A student who will be age 24 or older as of December 31 of the award year is considered to be independent. A student who is married is considered to be independent. A student who is or will be enrolled in graduate school during the award year is considered to be independent. This includes students who are pursuing a Master's degree, MBA, MSW, MD, JD, PhD or other doctorate. A student who is currently serving on active duty in the U.S. Armed Forces (Army, Navy, Air Force, Marine Corps or Coast Guard) for purposes other than training is considered to be an independent student. A student who is a member of the National Guard or Reserves must be on active duty for other than state or training purposes in order to be considered an independent student. A student who is (or will be by the start of the award year) a veteran of the U.S. Armed Forces after serving at least one day on active duty other than for training purposes is considered to be an independent student if the student was released from service under a condition other than "dishonorable" in Box 24 of the DD214. Similar rules apply to students who served on active duty with the National Guard or Reserves for purposes other than state or training purposes or who were a cadet or midshipman at one of the service academies. A student who has one or more children (including unborn children who will be born during the award year) who receive more than half their support from the student and who will continue to receive more than half their support from the student throughout the award year is considered to be independent. The children do not need to live with the student, so long as they satisfy the support test. Support includes money, gifts and loans, as well as payments on behalf of the student for food, clothing, housing, transportation, medical and dental care, insurance and college costs. Support provided by the student includes any support received from anyone other than the student's parents, such as money from government benefit programs and child support from the student's boyfriend/girlfriend. The support must be reported on the FAFSA. A student who has one or more dependents other than children or a spouse who receive more than half their support from the student and who will continue to receive more than half their support from the student throughout the award year is considered to be independent, provided that the dependents live with the student. A student who, at any time after turning age 13, was an orphan (no living biological or adoptive parents), in foster care or a dependent/ward of the court, is considered to be independent. Note that a ward of the court is not the same as a ward of the state. A student who was incarcerated may still be considered a dependent student. A student who is or was an emancipated minor as determined by a court of competent jurisdiction in the student's state of legal residence at the time is considered to be independent. Note that a student who was emancipated as part of a child support agreement is not considered to be an emancipated minor. The emancipation must have occured before the student reached the age of majority. A student who is or was in a court-ordered legal guardianship in the student's state of legal residence at the time is considered to be independent. If the legal guardianship ended before the student reached the age of majority, the student is not considered to be independent. The legal guardianship must have been court-ordered; voluntary placements with grandparents or other relatives do not count unless they are court-ordered. A student who was determined to be an unaccompanied homeless youth is considered to be independent. The determination must have been made on or after July 1, 2010 by the director of an emergency shelter or transitional housing program funded by HUD. A student who was determined to be an unaccompanied youth who was homeless or an unaccompanied youth who was self-supporting and at risk of being homeless is considered to be independent. The determination must have been made on or after July 1, 2010 by the director of a runaway or homeless youth basic center or transitional living program.